Over the last three years, my focus in climbing shifted almost completely to bouldering. 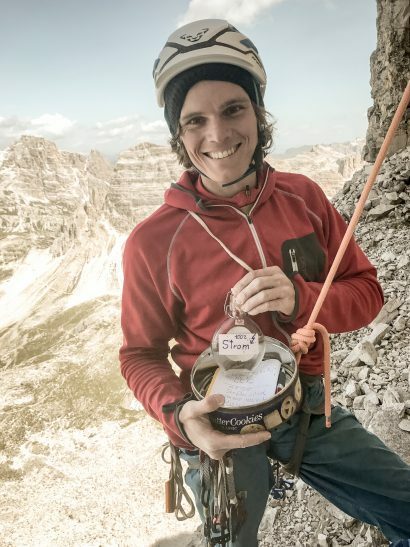 By clipping the chains of ‘Comeback’ 8c in May 2014, I completed a personal lifetime goal and in an instant I lost a huge amount of my motivation for sport climbing. I put off my harness and didn’t put it on again for two years. What followed was a shift in perception of my approach to rock climbing. I concentrated much more on movement, coordination and efficiency. Working on my weaknesses and seeing the improvements was fun. I started to do sequences I hadn’t been able to do before and with ‘The Power of Goodbye’ I put some moves together I had considered impossible for me. A few month later, an injury in my right middle finger stopped my progress all at once. Over the next 14 months I never quite recovered , the inflammation always came back when I thought it had finally gone. The injury was there 24/7, especially in my mind. I knew I had to change something in my approach and I already knew what it was. I had to leave the pressure to perform well behind and change the game yet again. So after more than two years, I started to do easy rope climbing, even a little bit of multi-pitch climbing. The change of scenery, low intensity and even lower expectations made me feel better. Within four weeks, the pain was almost gone. A short stay in Croatia over New Year’s Eve finally brought me back to endurance-based climbing. Naturally, I did some bouldering here and there but my motivation for longer routes grew constantly. With the third ascent of ‘Phönix aus der Asche’ 8c (originally graded 8b+/c) in May I did the hardest route at Kanzianiberg and felt fit again. The obvious consequence – at least for me – was to use the gained endurance for even longer routes, e.g. multiple pitch routes. Summer was not far and I couldn’t wait to tie in below my favourite north face. 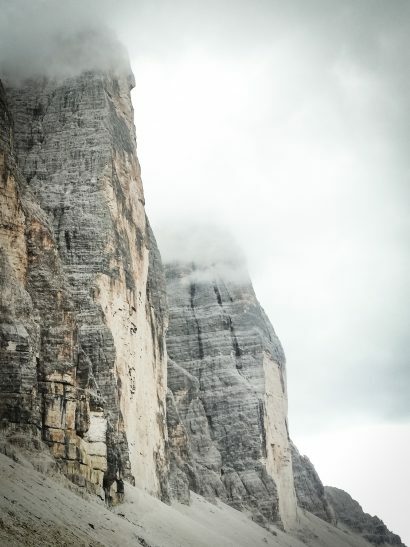 Returning to the north face of the Cima Grande in the Dolomites made me shudder with delight. 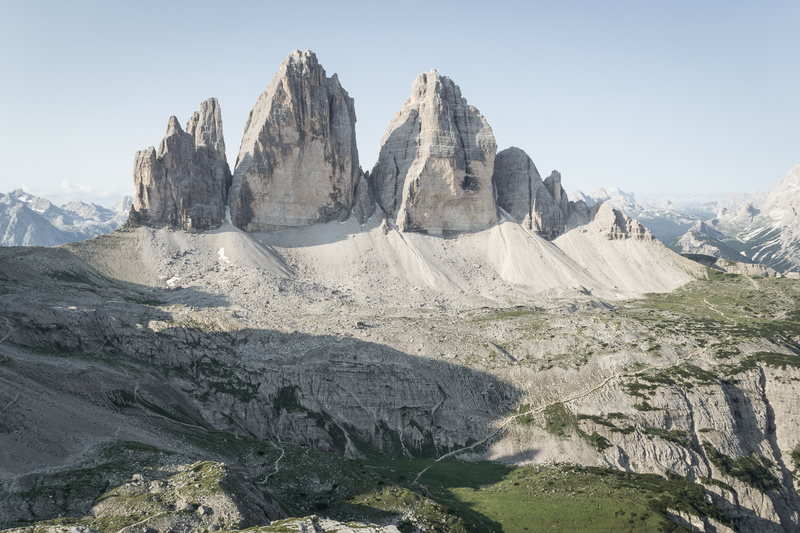 I had already spent quite some time in the north walls of the Tre Cime di Lavarado but that was a long time ago. This time my goal was Hannes Pfeifhofer’s and Daniel Rogger’s ‘Ohne Rauch stirbst du auch’ 8a. 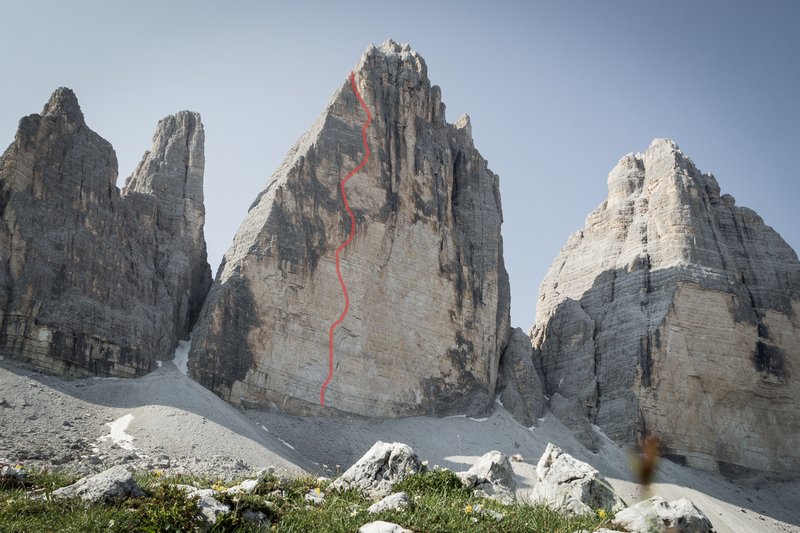 Opened in 2010, the route had to wait four years for its first and second ground-up redpoint ascent by Ines Papert and Lisi Steurer. 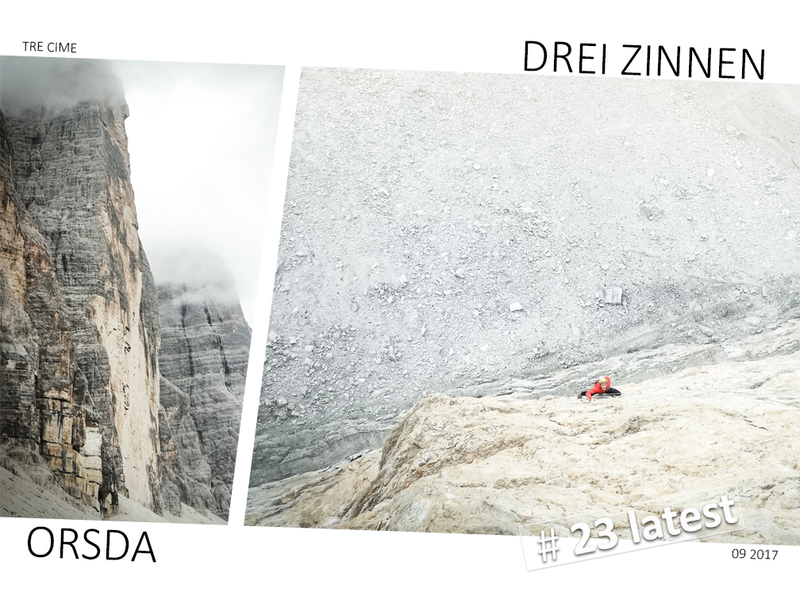 The following summer Gerhard Fiegl and Mich Kemeter made the third and fourth redpoint ascent. Topo ‘Ohne Rauch stirbst du auch’ from bergsteigen.com. 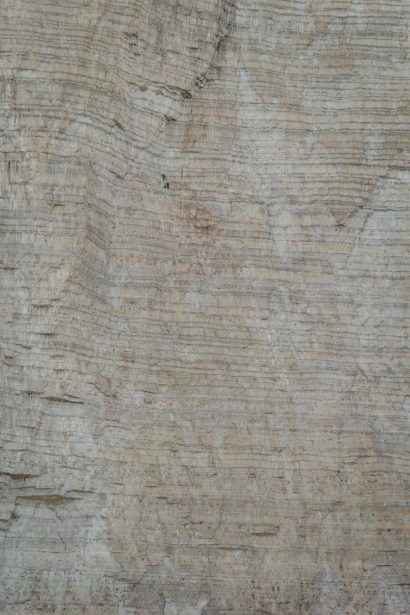 17 pitches lead up the left side of the north face with the main difficulty in the lower part. Starting with 8a and 7c, it’s a bit of a rough start in the morning but I thought this could be an advantage as well. 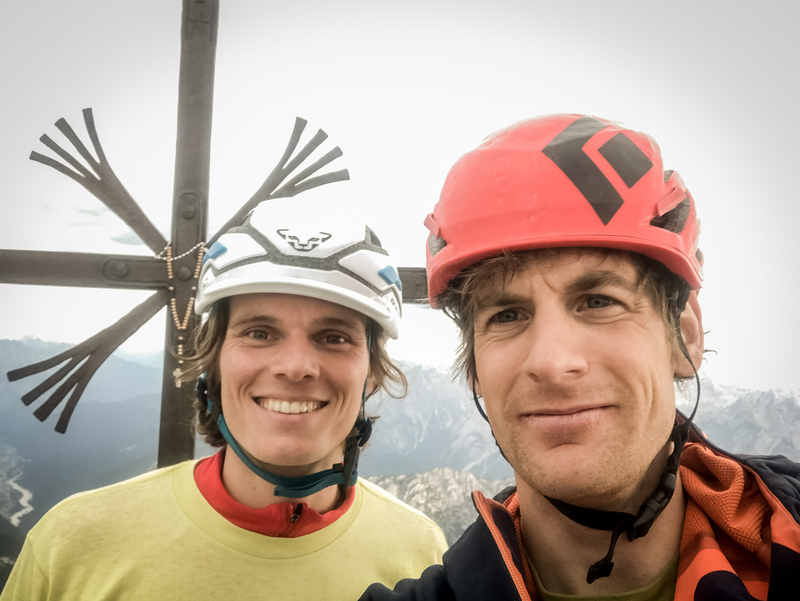 On the first day in the wall, I was accompanied by Alexander Gradenegger, a young gun from Carinthia. When we arrived, the first pitch was very humid and the second was soaked. It wasn’t much fun to pull on the slippery holds but nevertheless I got an idea of the harder sections. 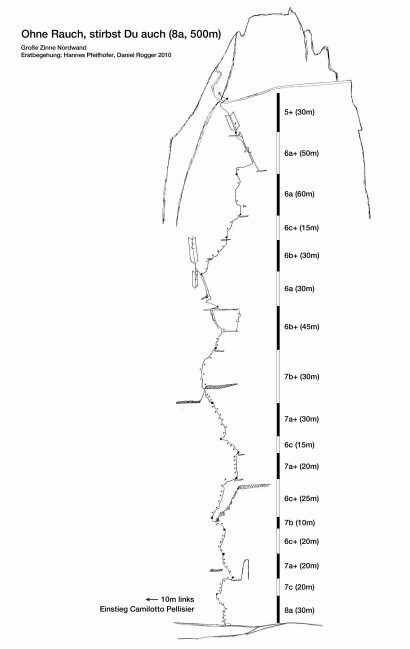 That day we climbed to pitch #6 – not particularly far when you look at the topo. But the not-so-good weather forecast, pumped forearms and the sheer magnitude of the wall made it easy to turn around. After this fleeting visit, I knew I had to return. Alexander Gradenegger enjoying the exposure. On the Paternsattel in the background people are taking photos of the north faces. The following week we came back and found similar conditions. No redpoint in the first two pitches but we continued upwards to pitch #10 graded 7b+. Height and exposure were working my mind and body and at this point, I was already quite exhausted and barely made it over the short but tricky roof section. I lowered to Alexander and we decided to retreat. Abseiling through the continuously overhanging wall took a while and I had time to think about the single pitches. I knew I had the fitness but somehow I wasn’t able to bring it to the rock. As soon as the distance to the last protection had gotten too big, I became tense and found it hard to climb fluently. At the same time, I knew that without falls in the first two pitches, my motivation would be higher and I could step up my game a fair bit. 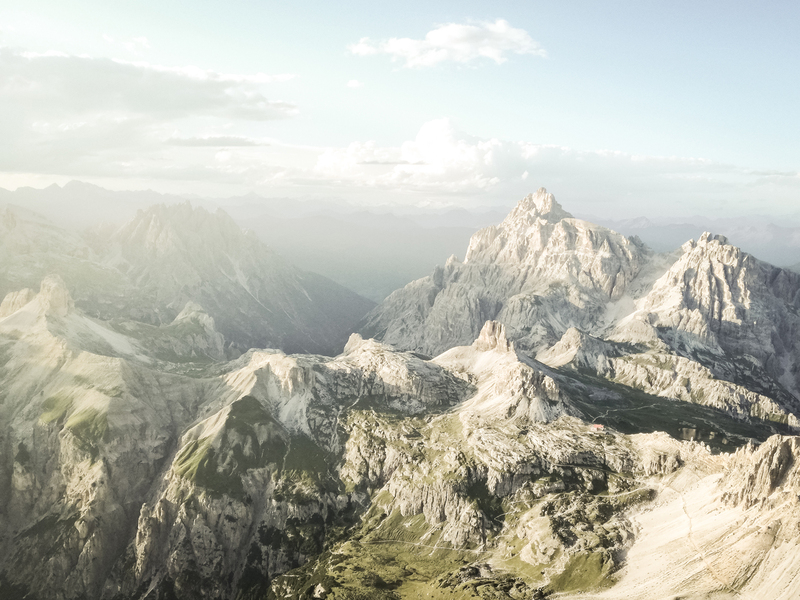 Morning sun in the north face of Cima Grande. Bad weather around the corner. A party in Hasse-Brandler. Very little traffic on the walls this summer. It didn’t take too long until I found myself staring up the ocean of yellow rock again, this time with Lukas Fröis by my side. I touched the starting holds at the base and smiled. Surprisingly, the conditions were great, everything looked and felt dry. Doing the first moves and noticing the good friction boosted my psych and I immersed myself into climbing mode. Although 6:15am is not my favourite time to warm up in an 8a, I felt good and found myself at the first anchor only a few minutes later. 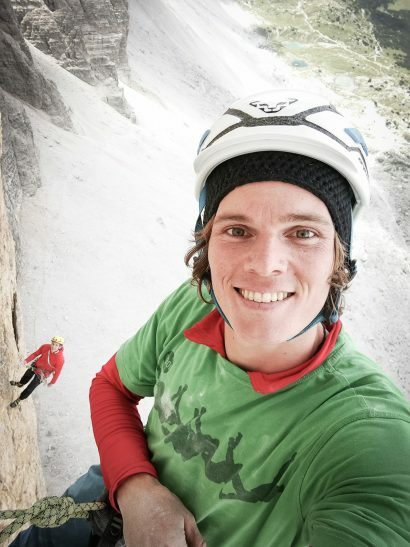 Lukas followed quickly without wasting any time in the bouldery crux section. Up next was the short but pumpy 7c with its open pinches and crimpy traverse. With a big smile on my face, I clicked the anchor and started hauling. So far so good. Redpoint through the first two pitches in good conditions. I couldn’t have wished for better. We climbed upwards steadily, always cautious not to break a hold. 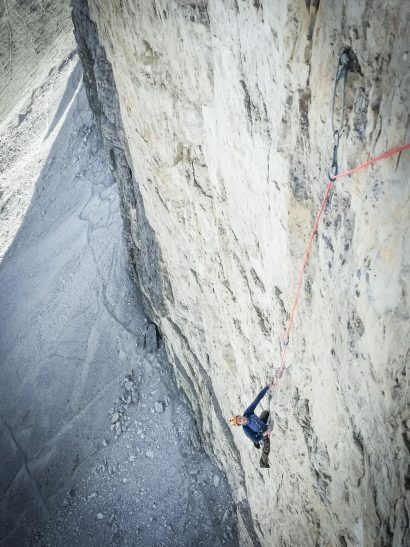 Although the difficulty of the single pitches is moderate, the climbing is always slightly pumpy and some run-outs demand a high level of concentration. Finally, we arrived at pitch #10, the 7b+ where I had turned around last time. After this pitch, difficulties would drop significantly. The climbing is hard right from the beginning. Powerful moves lead to a rest in a corner at the beginning of a short dihedral below a small roof. pumped forearms made me climb hesitantly and it didn’t take long until I found myself dangling in the rope. Luki encouraged me to give it another go and despite feeling exhausted, I started again at the belay. This time I somehow made it above the edge of the roof. I was standing there, heavily panting, shaking my forearms, trying to regain my composure. I was looking at the dangling tag line below the roof, the view down to the base of the wall long and deep. When I continued climbing, I felt weak but focused. I moved confidently upwards, crimping hard and dropping knees wherever possible. I hesitated at a tricky section and felt my power drain from my fingers. I knew I had only seconds left before falling and lashed out for a pinch. I touched it, couldn’t close my fingers quickly enough and fell. And fell. I fell quite long but landed softly at the edge of the roof. Luki was a bit surprised, looking a bit uncomfortable down at the hanging belay. I realised I wasted my chance for today. There was no way I could have done this pitch without falling again. I was a bit shaken and disappointed. But if we wanted to make it to the top, we had to continue. 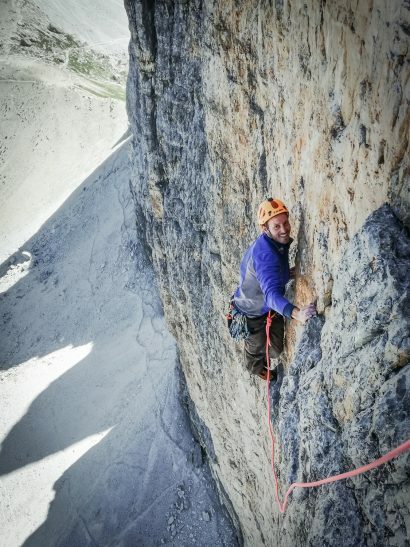 After pitch #10, the character of the route changes completely. There are 7 pitches to go, relatively low in difficulty but with very run out sections. I put all my cams on the harness and worked my way upwards, metre by metre, pitch after pitch. In this terrain, falling is not an option so I climbed carefully and tried to stay focused at all times. Every pitch offers some delicate sections but mostly on solid rock. Climbing into the unknown is always exciting and so the relief was great when we finally reached the top after more than 12 hours on the wall. It was the first time for Lukas to climb through the north face and we were both happy to experience this great day together. No matter how you climb up that wall, it is always an adventure. At that moment, it didn’t really matter that I wasn’t able to redpoint pitch #10. Tired and physically beaten we were just grateful for the experience. 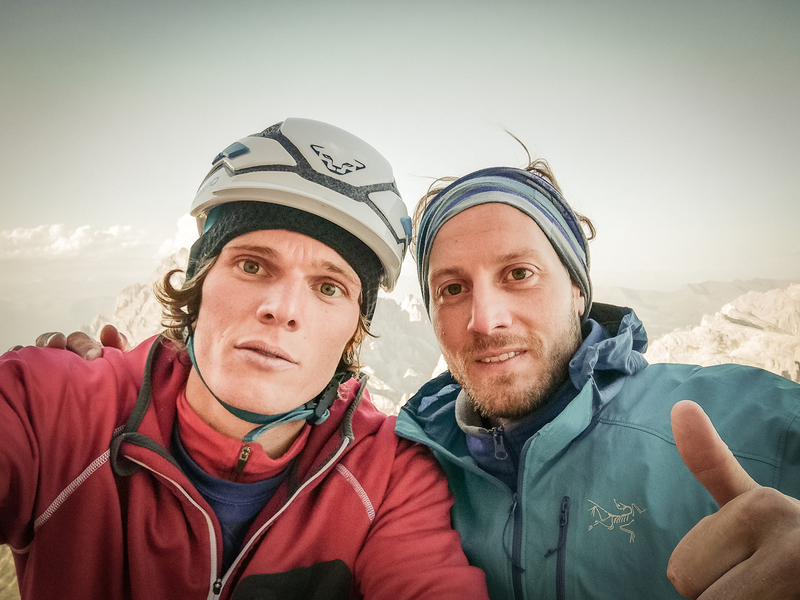 After more than twelve hours on the wall with Lukas Fröis. Fast forward: Two weeks later, I was again hanging at the belay at the start of pitch #10. Conditions were perfect. Slightly cooler because of light wind but even dryer than during my last attempt. Roland Mösslacher was hanging right next to me. So far everything had gone smoothly: no falls, no unexpected foot slips, just perfect climbing pitch after pitch. 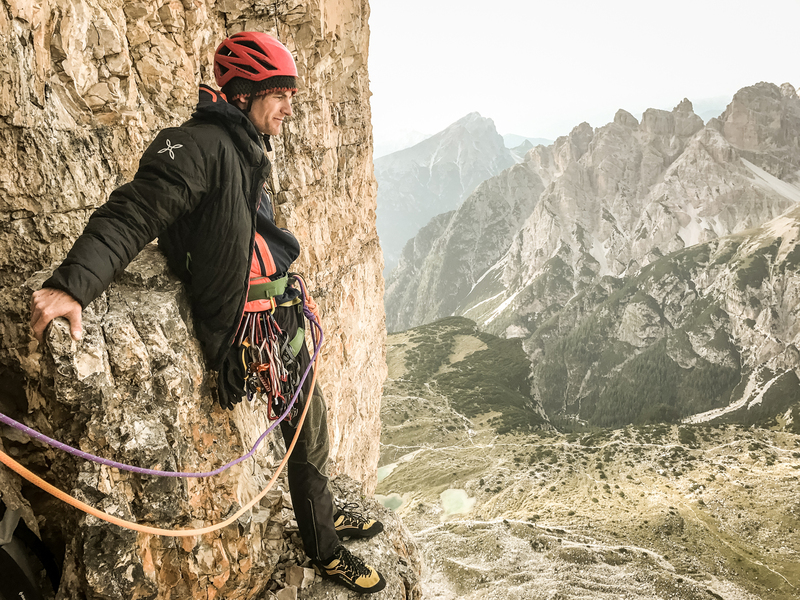 Of course, the previous 9 pitches had worked my body but I felt quite confident when I started from the belay. 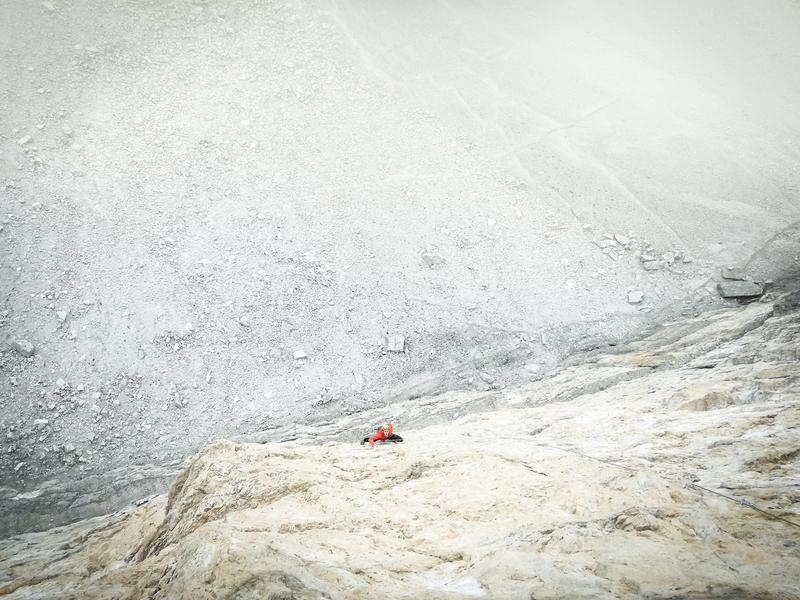 I tried to climb as efficiently as possible, moved fast and determined until I found myself at the edge above the roof. Pressure was high, I really wanted to do this. I moved slowly, anxious not to make a mistake. When I arrived at the section where I had fallen last time, I hesitated for a second, couldn’t find the right body position. For an instant, I was lost in this sheer endless sea of rock. I needed to move on or I would fall. I pulled myself together and pulled through the last hard moves. There was no margin for errors, I executed move after move. At the belay, I screamed with relief. How happy can you be? Hanging at the belay at the end of pitch #9. Schnaps tasting at the end of pitch #11. You couldn’t wish for a better setting. Roland ‘the man in the down jacket’ Mösslacher. Happy faces at the end of the day (27.8.2017). Climbing redpoint in this terrain never comes easy to me. There are a lot of things that can interfere and I am grateful that the right amount of luck was on my side. In the end it is always about self-examination and lessons learned. 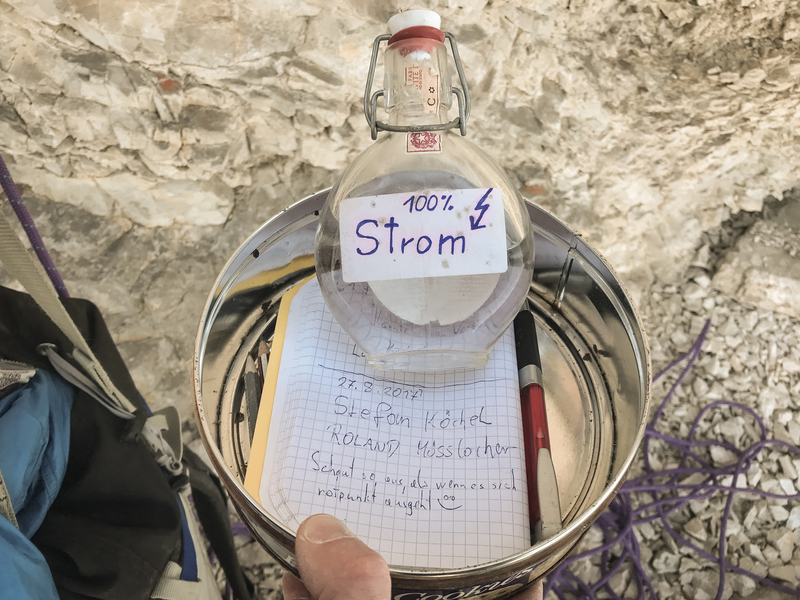 I want to thank Alexander Gradenegger, Lukas Fröis and Roland Mösslacher for their commitment and encouragement. But most importantly a huge thank you to Alexandra Horner for putting up with my endeavors! 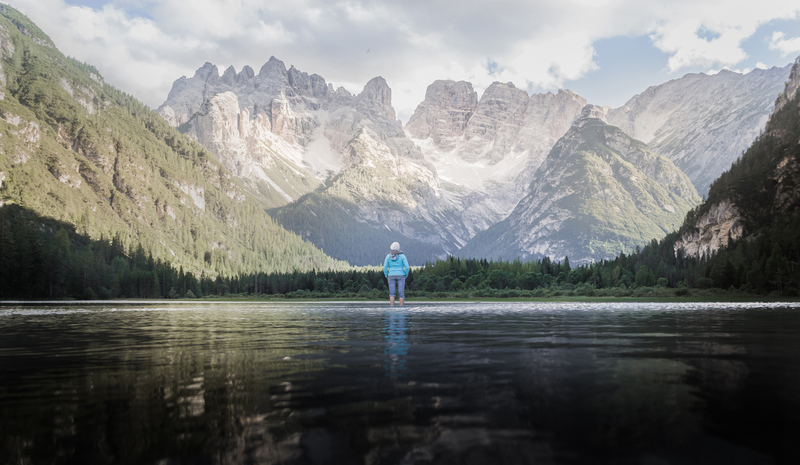 Rest day at Dürrensee at the foot of Monte Cristallo. 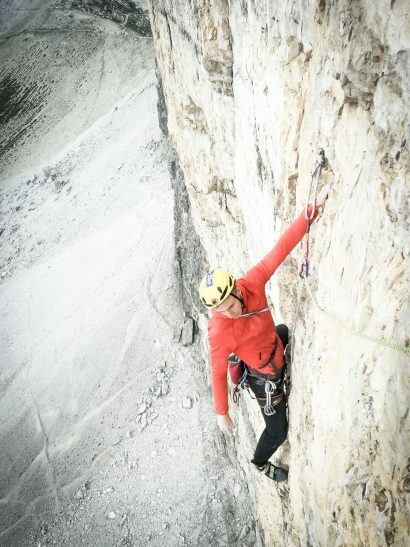 Alexandra Horner in the ‘Dülfer-Verschneidung’ in the west face of Cima Grande. This was the first route of the season. I really struggled with humidity in the first two pitches. I am still not sure what influences the conditions most (it’s not the rain) but a little wind in the morning helps to dry the rock. Pitch #1 to #10 are well protected. Most of the pitches are short and it would be possible to link some of them, but I was always happy to rest at the belays. Pitch #1 is definitely the hardest (don’t continue reading if you want to try it onsight). From the ground relatively easy terrain (~7a) leads to a seven-move-long section on crimps and pinches. I found it impossible to climb it in wet conditions. After a good rest, there is a tricky four-move boulder problem which leads to the anchor. 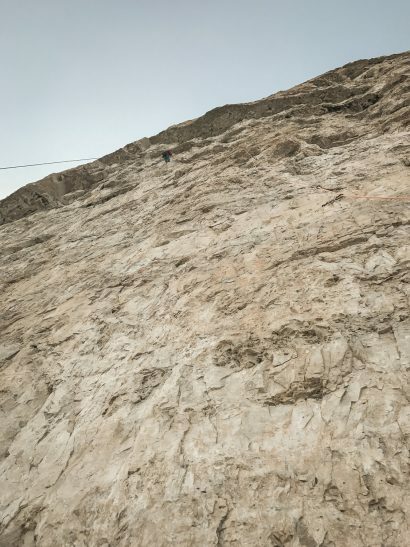 Pitch #2 starts on incut crimps followed by a short loop to the right and back, which brings you to a section of pinches and side pulls where it’s hard to relax. Pitch #5 is very short, a five-move boulder problem leading around a corner/roof. 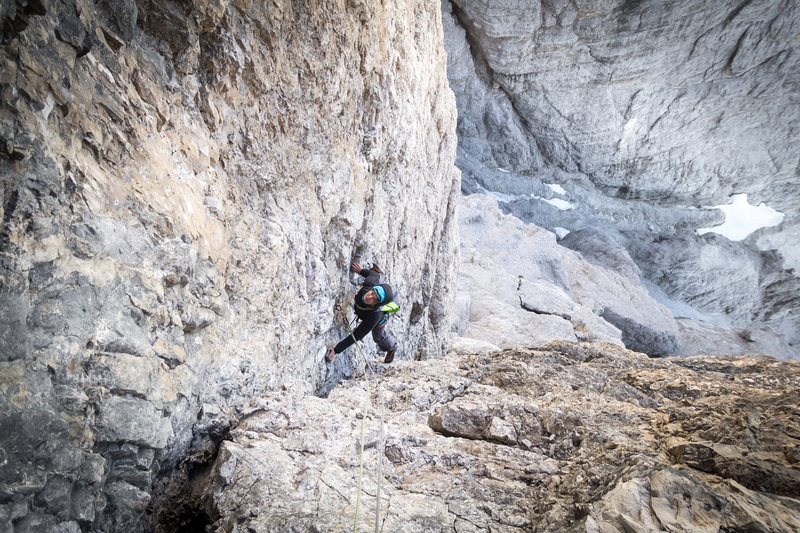 Pitch #10 is the crux pitch when coming from the ground. Right after the dihedral there is a bolt over the lip, which isn’t visible from the belay. Pitch #11 to #17 are very run out. There are long sections without pitons but you can make very good use of friends. After the first bolt in pitch #15 make sure to climb relatively straight to the anchor, especially when you use a 60m rope. The pitch is long and it’s quite easy to get lost. 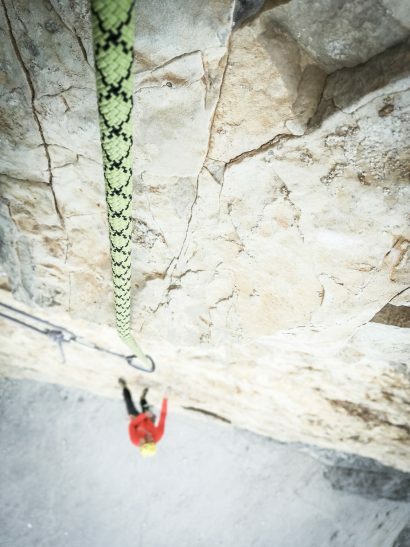 Your rope might be too short to reach the belay when you climb a detour. 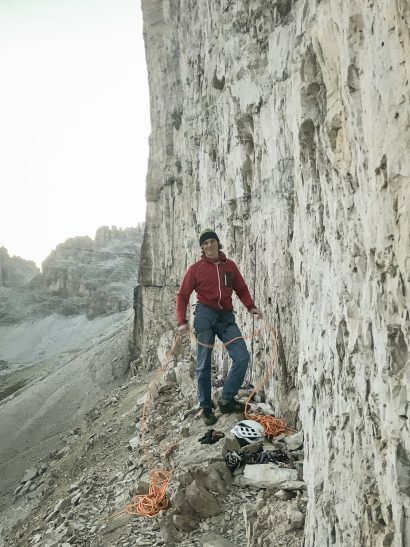 Due to the steepness of the route, it is possible to haul your bag all along the first 15 pitches. I am pretty sure this route will become a modern classic. Climbing levels are rising constantly and more and more people will try such climbs. 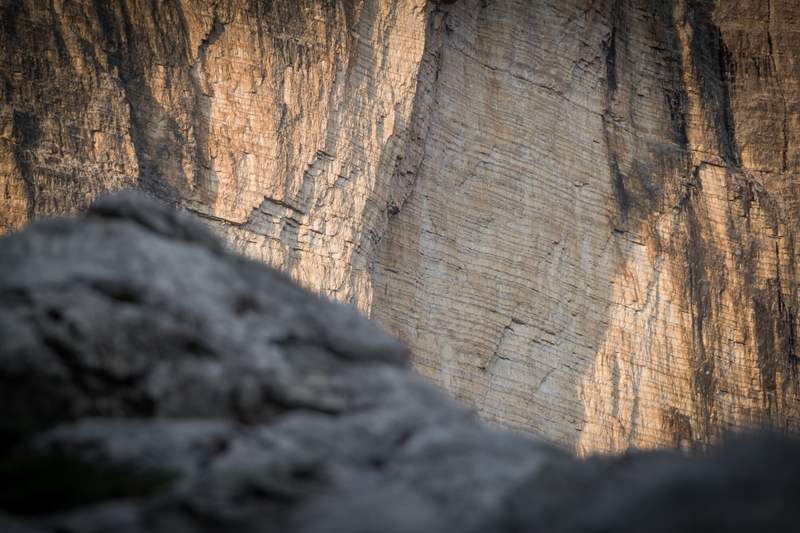 Props to Hannes Pfeifhofer and Daniel Rogger for establishing such a great line on one of the most beautiful walls ever!